The Volcano System Vaporizer releases flavouring and active ingredients through vaporization by hot air. Optimum treatment of the active ingredients reduces the development of harmful substances and odors to a minimum. This means that even non-smokers find the vaporizer enjoyable. The unique patented Volcano System technology conveys air enriched with flavouring and active ingredients into a balloon via a valve, it then been separated from the device and made available to the user. This means that the active ingredients can be savoured at ease, both comfortably and completely safely. Reliable technology: designed and made in Germany for quality and long life. 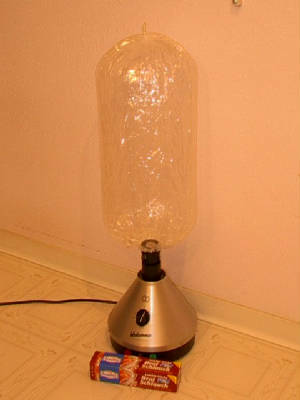 The vaporizing method involves hot air, causing the desired ingredients (active ingredients and flavoring) to vaporize. (a result of the controlled heating effect). These vapors blend with the air for subsequent inhalation. Hot air causes the ingredients to vaporize. Smoking involves the unavoidable inhalation of toxic combustion by-products along with the desired ingredients, these being carcinogenic, causing irritation of the respiratory tract and emitting noxious odors. In addition to this, the uncontrolled combustion temperature (which is much too high) causes the unnecessary destruction of the majority of the ingredients, thus squandering the original material. Time to put an end to this! Invest in your health and save money at the same time!